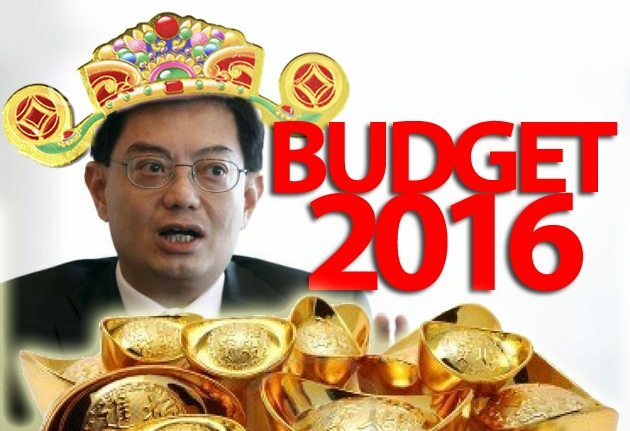 What will Budget 2016 look like? If you are expecting our annual God of Wealth to announce goodies at Budget 2016, you might want to reel in the excitement. Although Singapore’s accounts are expected to return to surplus this year after the government booked a rare deficit last year; 2015 figures may show the largest shortfall in over seven years at $4.9 billion. Market players like UOB are betting on a 2016-2017 surplus of around $2.3 billion, or 0.76 percent of GDP. Economists believe that there will not be any ground moving goodies this coming Budget. That said, the government can’t completely afford to ignore social safety nets this year. “Given sustained high cost of living concerns, a further enhancement of Workfare Income Supplement may be on the cards given the last enhancement was in 2013. In particular, the government could further incentivize the employment of elderly Singaporean workers given the demographic ageing,” said an analyst at OCBC. The administration is most likely to use its latest budget to boost an economy at risk of technical recession, steering away from the recent focus placed on social spending sweeteners in one of the world’s most expensive cities. A gloomy demand outlook and rising business costs has weighed on corporate profits, reflected by a 0.4 percentage point drop in the median return of assets of listed companies in the second quarter last year, according to latest central bank data. Although our unemployment rate is low (at 1.9%), job creation has greatly stalled over the past year. Only 31,800 jobs were added in 2015, the lowest since the SARS outbreak in 2003, as a result of the slowing economy. Measures to enhance employability of local workers, especially older or low-wage residents, are expected in the form of training schemes and higher wage ceilings are most likely to be on the cards. A great deal of attention would be placed on productivity. Real wages had been rising at 1.1 percent per annum in the 2010-2015 period. However, real productivity growth was only gaining at 0.4 percent. If this continues, Singapore will lose out in terms of cost competitiveness in the medium term.